Teak is an extraordinary wooden resource for furniture. Having furniture is a long-term investment that we should consider. To get long-lasting furniture for our house, of course, determining the materials of the furniture is really matters. Teak or in Latin words called “Tectona Grandis”, is most strong durable and hardest hardwoods. It natives usually comes from southeast Asia. Teak has high natural oil content that makes the furniture made from teak termite and pest resistant. The high content of oil and silica makes it resistant to mildew, dry rot, fungi and stains, which is a common problem in older wooden furniture. No need to worry if you put teak furniture for outdoor living spaces. Teak is durable even when not treated with oil or varnish. Its characteristics make the wood no need to give more or extra treatments to make it long-last usability. Furniture from teak wood has its beautiful grain and colour. The textures also make this wood popular choices most people. 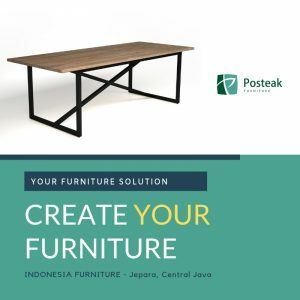 At first, furniture from teak wood has a natural brown colour with beautiful grain and texture, in case the colour will change over time into light-grey, and it’s normal. Even though, it still gives an elegance for furniture in your house. But, we also can keep the brown colour with wood sealer. PT. 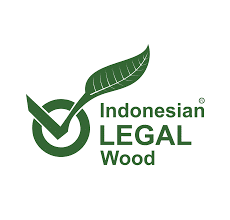 Perhutani is the vast majority of commercial governments that harvesting plantations of teak wood. They purposed to managed quality for export furniture in the country. This, of course, will benefit for the buyer to have high-quality furniture for their own or their business. Jepara which is located in Central Java, Indonesia has well-known as the hearts of furniture maker from the worldwide market. The high-skilled craftsmen and the huge resources of teak wood will benefit you to purchase furniture from this city. Bottom line, teak will benefits you more than other hardwoods for the value. Yes, it may more pricey than others. But keep in mind that it for lifetime use, and its beautifulness will compelling our eyes, makes our house have more nature and elegance looks.